[snippet ...] If you were dismissed for an 'automatically unfair' reason or you were discriminated against, you can make a claim to a tribunal no matter how long you've worked for your employer. For example, the process might say you'll get a written warning before you're dismissed. The legal term for being sacked is ‘dismissal'. 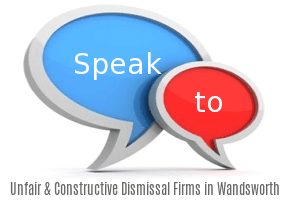 In unfair dismissal claims you must make the claim to a tribunal within 3 months of being dismissed. Your employer is allowed to dismiss people, but if they do it unfairly you can challenge your dismissal. Such elevated numbers of honest dismissal cases have also led to varied changes to employment law by the UK authorities, which while helping to bring a extra stringent and uniform system for the dealing with of employment legislation instances, can be tough for companies to keep abreast of.